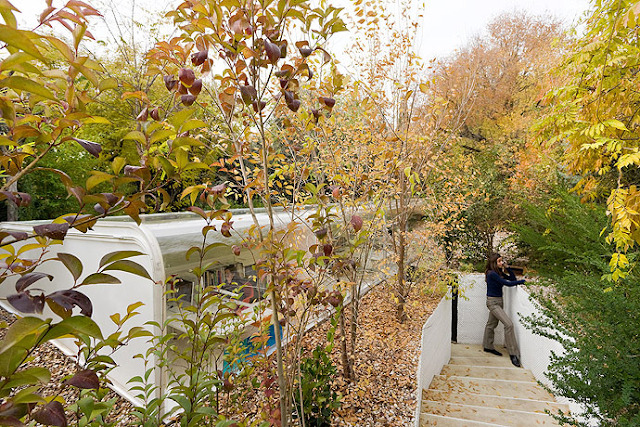 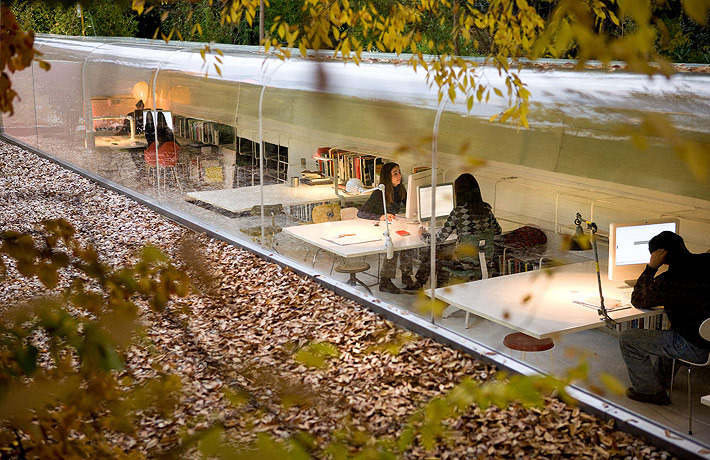 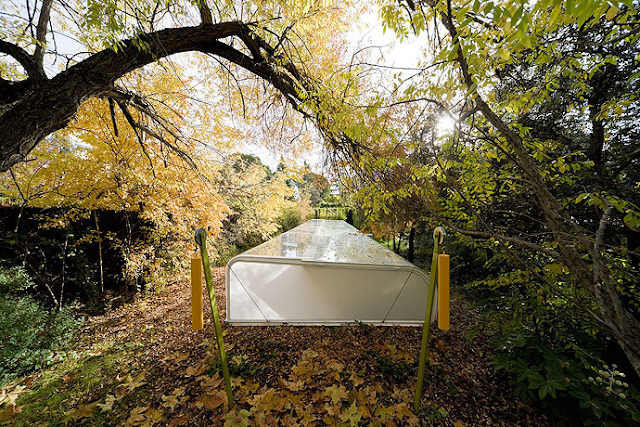 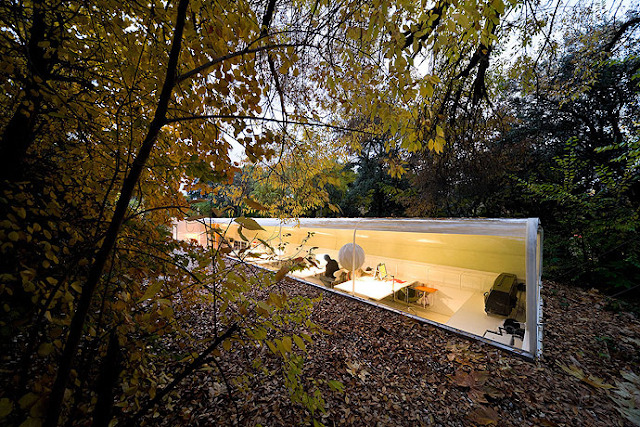 The office of the Madrid architects José Selgas and Lucía Cano, built in 2007, is a simple white longitudinal container that is inserted in a wooded environment simply by burying itself, and generating an extremely attractive image with few projective resources. It has turned out to be the most seen project of the well-known Archdaily page in its five years of history. 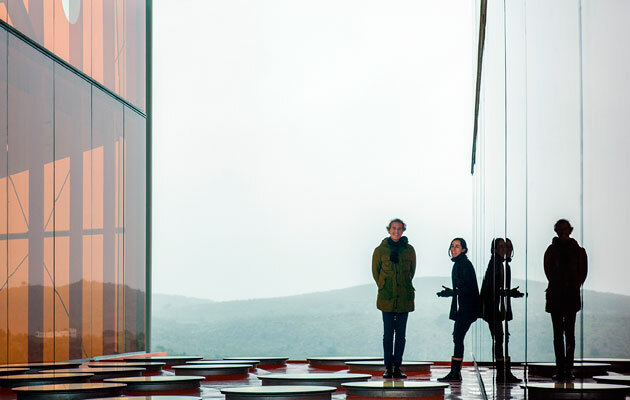 This small Spanish studio has achieved a stunning international recognition since they designed and built the Palacio de Congresos de Badajoz in 2006. They make an architecture of simple spaces and vibrant colors. His formative process has been quite intense graduating both by the School of Architecture of Madrid in 1992. José Selgas would later obtain the Prix de Roma scholarship in 1998, having also worked in Naples with Francesco Venezia. 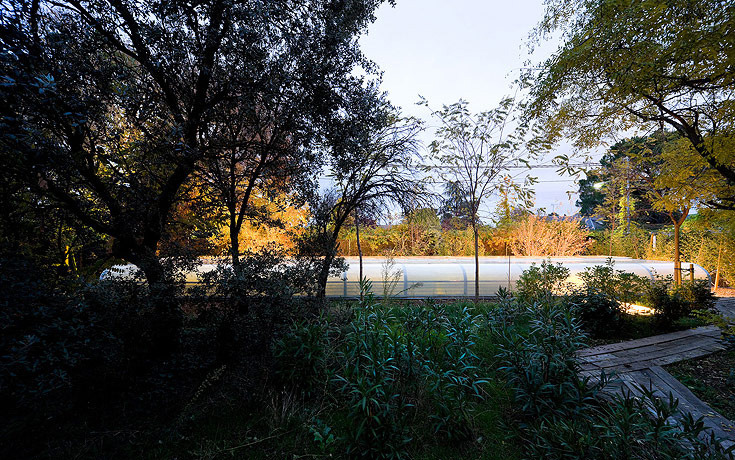 Lucía Cano is the daughter of the well-known Madrid-born architect Julio Cano Lasso, in whose studio she would work until 2003. 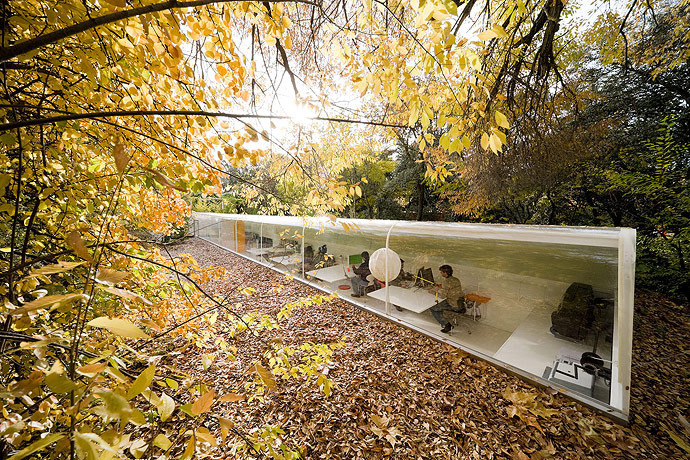 Since then they have created a studio of their own that has produced a few works of interest and recognized popularity. 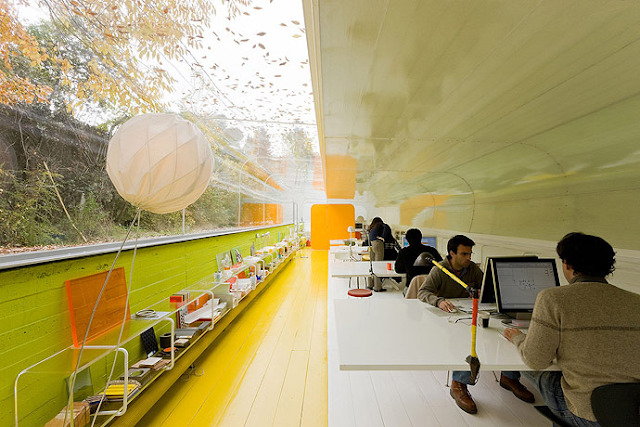 Five years ago, Segas and Cano built this small office space to house their own design company. 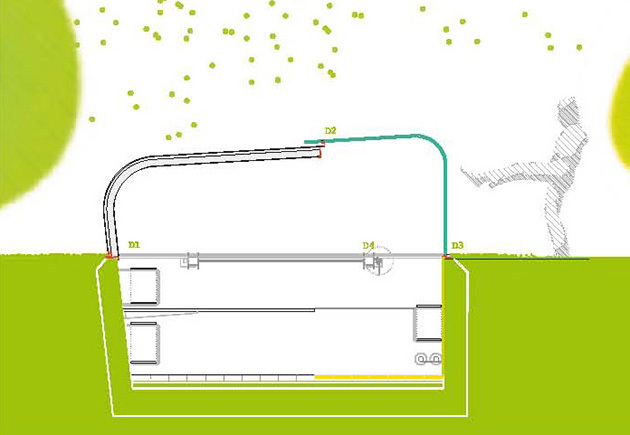 It is a small rectangular volume very elongated that is buried in the ground. 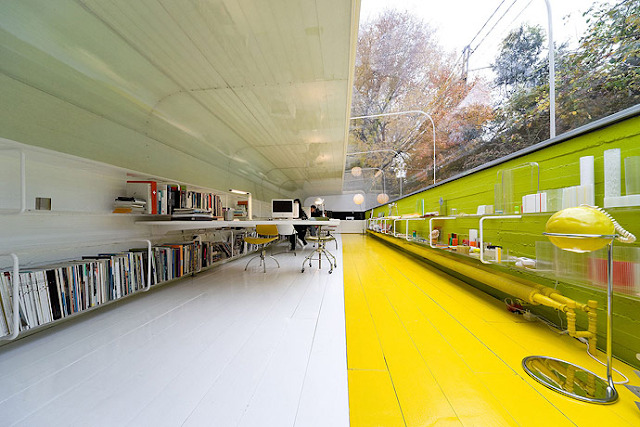 There is only space for a row of tables perpendicular to the wall next to a bookcase, a longitudinal corridor and another shelf that follows the path of the other wall. 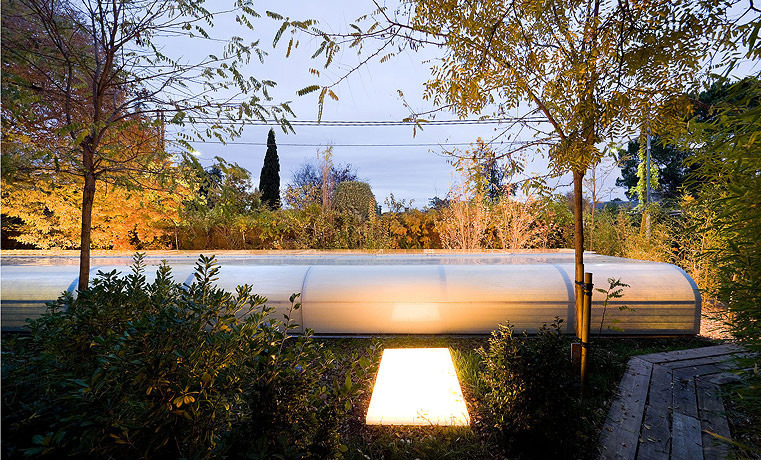 The construction is very simple a concrete vessel buried in the ground on which a light enclosure is placed. The roof is divided into two parts, one closed to the south, consisting of a sandwich of three layers, in polyester fibers, glass and insulation, which protects from direct sunlight. 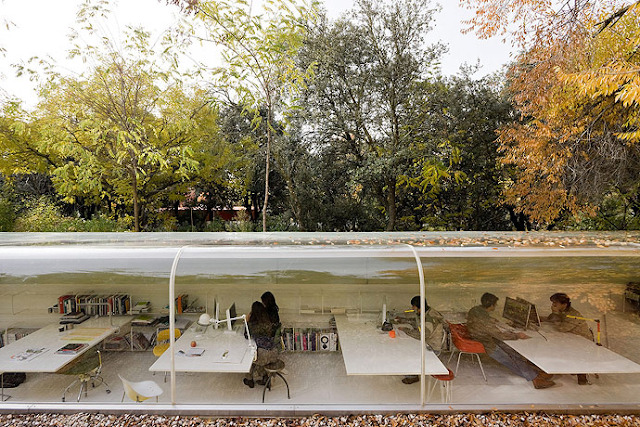 And another, transparent, that covers the north of the curved plexiglass plate, thus allowing to offer a complete illumination of the workspace. 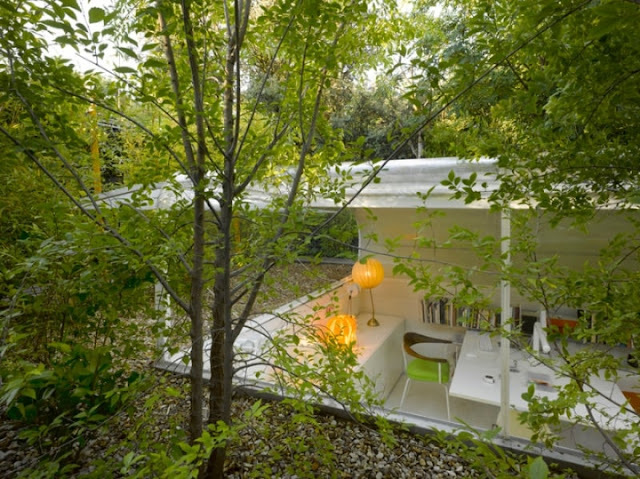 All this is maintained by a simple curved metal structure that gives rise to the characteristic section of rounded corners. 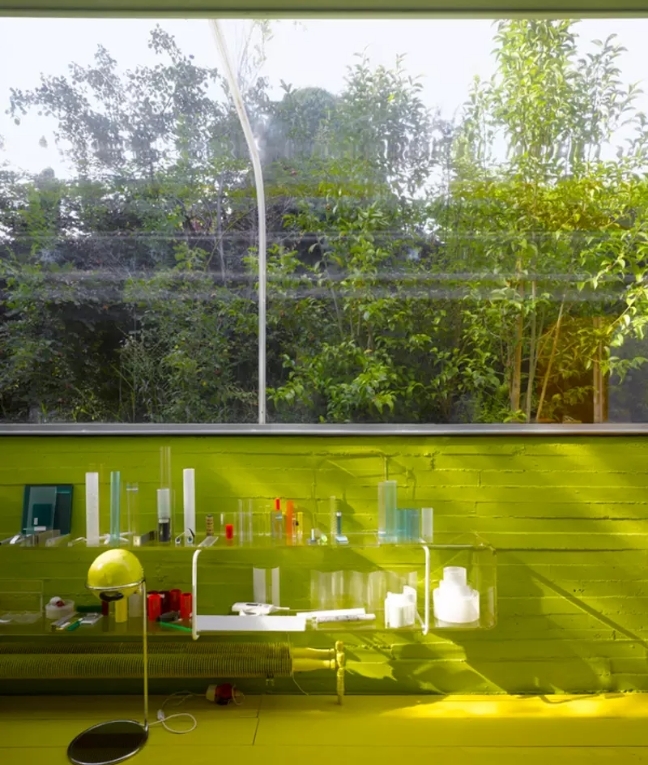 The different areas that make up this sparse plant are subdivided with Plexiglas panels and colored doors with curved finials. An office and a tiny bathroom adhere to the main work space for 8 people, which is accessed by a small stairway embedded in the ground. 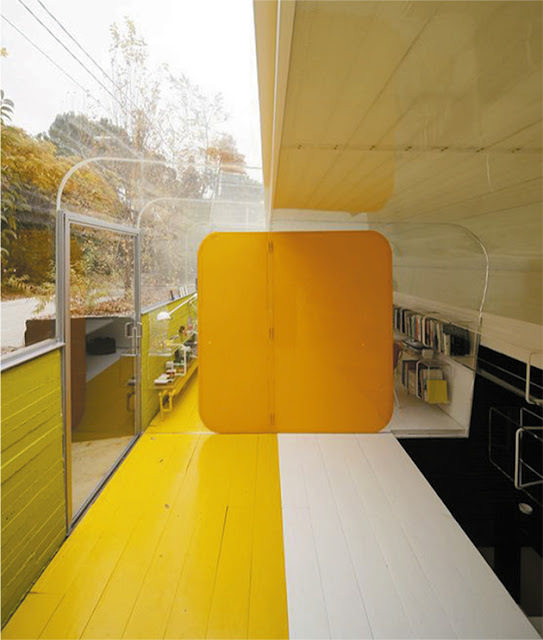 This project is in itself a radical bet that sins of an excessive simplicity and that, however, offers a unique photogenic with its colorful yellow and orange green. 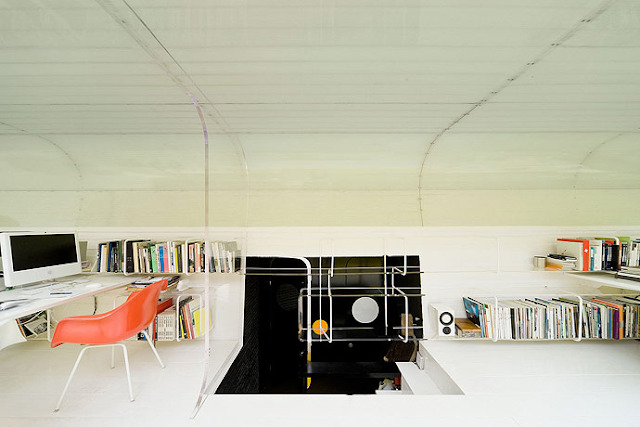 The report made by the extraordinary photographer Iwan Baan offers highly evocative and suggestive images. At first glance it would seem like the dream paradise for every architectural student. 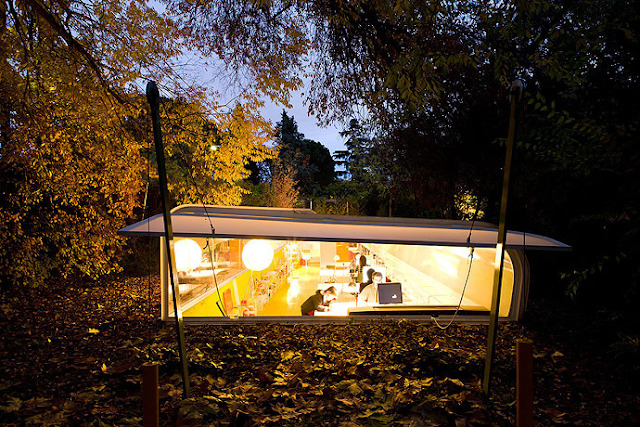 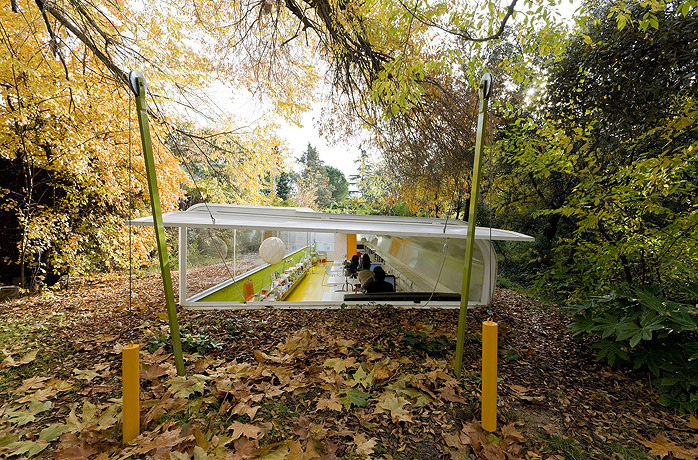 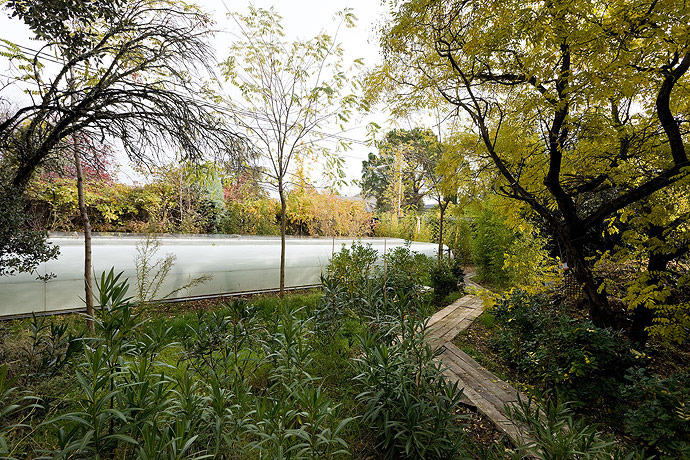 SelgasCano is an architectural partnership between José Selgas and Lucía Cano. They are Spanish and their works in Spain include the Plasencia Auditorium and Congress Centre. 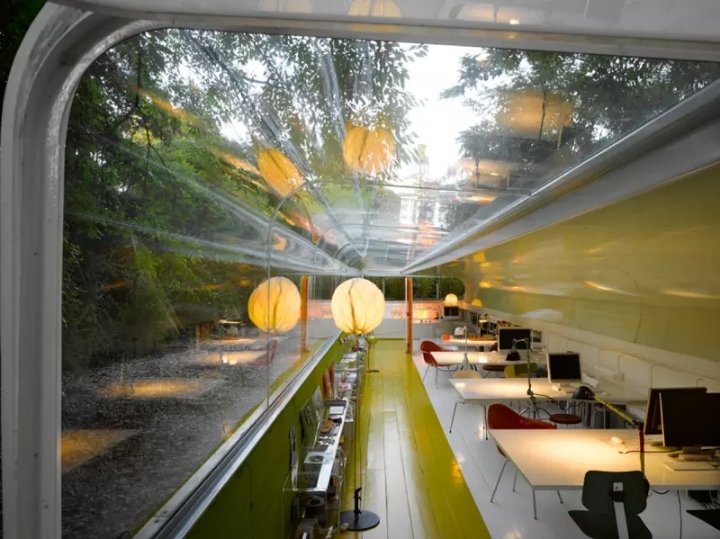 In 2015, they designed the 15th annual Serpentine Pavilion in London.